India is making its mark in Golf Tourism. 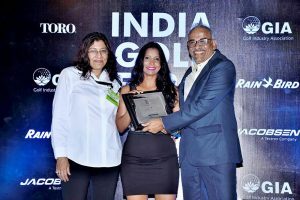 EGTMedia interviewed Arun Iyer, Managing Director, My Golf Tours, winner of Best Golf Tour Operator award at India Golf Expo 2017 to find out about the emerging sector in the country. Why is India a good destination for golf? India has so much to offer. It has 350 golf courses ranging from traditional ones built during early 19th century colonial era to new state of the art modern facilities and to those built by well known designers like Jack Niklaus and Arnold Palmer. These are spread across the country; next to hill stations, plains, beaches and palace grounds. Beautiful scenery, monuments and popular attractions of rich culture and traditions make India an interesting 365 day destination for golfers. Is the golf culture thriving in India? Golf was introduced in India by the British as early as 1829 at the Royal Calcutta Golf Club. The sport was exclusive to a certain section of the society that had access to traditional Golf clubs across the country with limited memberships. With the growing economy and affordability, the need for a golf based lifestyle has emerged since five to six years. New golf courses are being created at many modern residential complexes. This is encouraging young golfers, achievers in their careers to opt for the game. Some credit card companies also offer attractive golf packages to their clients. How are you tapping into the segment? My Golf Tours has 11 exclusive packages to top 28 golf courses. Customised options, yoga, spa, vineyard tours and more experiences are on offer. Most of our promotion happens on social media. We’ve created ‘Passionate Golfers Association’ to bring golfers under one umbrella. We do monthly tournaments and CEO picnics. We are combining our travel agency skills with our partner in the business Mita Gowande, who is a professional golfer. We conduct golf training, golf events and golf vacations. We hold annual Birla Sun Life Golf Tournament for ladies and juniors and also send golfers to international tournaments. We also do CSR for caddies. We participate in annual Golf Tourism Conventions to present our packages. We’ll be appointing a representative in United Kingdom and Shanghai. We’re the official agents for Bali Golf Week. We have circuit tours. 11 circuits cover most of the popular tourist destinations in India and each is unique. Gulmarg and Pahalgam golf courses in Heavenly Kashmir package are at high altitudes amidst beautiful Himalayan scenery. In Amazing Bengaluru, we combine golf with vineyard visit. There’s Golden Triangle with Delhi, Agra and Jaipur sightseeing with golf. 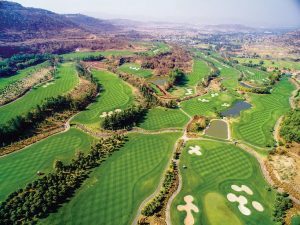 Golfers can play with peacocks as onlookers at the ITC Grand Bharat Gurgaon’s modern 27-hole golf course located at the foot hills of Aravalli Mountains. 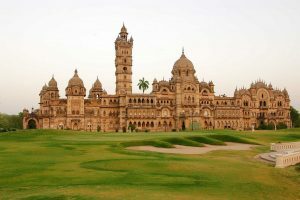 In Captivating Ahmedabad & Vadodara, majestic palace forms the backdrop at the Gaekwad Baroda Golf Club. We are adding luxury train experience to some of our golf packages this year. How is the supporting infrastructure? There are good flight connections to and within India; road infrastructure has also improved tremendously. Choice of accommodation is available. Normal traffic woes exist, but we have put itineraries in such a way that not much time is wasted in travel. How long is an ideal golf tour? A golf tour will be for a minimum four days and can go up to two weeks. We provide a travel break after two days of playing, to re-energise players. An average golf tourist spends 8 to ten days in India with an average spending of $1800 to $2200. Germans usually come for two weeks and sometimes in as small as 2 or 3 golfer group. Chinese come in big groups and stay for a week. Golf tours happen throughout the year since India has different climate zones. Eastern Europeans from Bulgaria, Turkey and others come mainly during winters. There’s almost no exposure to golf. Golf tourism needs to be promoted with a focus. Much more publicity is essential, like may be in in-flight magazines and television commercials through which prospective clients can be made aware. How is the support from the State? India’s tourism ministry has formed India Golf Tourism Committee to promote the niche segment and to make India a golf destination. Suman Billa, Joint Secretary, Ministry of Tourism, Government of India, is aggressive on improving the sector and has taken views and suggestions from all stakeholders. Our suggestion is to hold an annual ‘Incredible India Cup’ golf tournament. Indian Golf Association in the capital New Delhi is regularly pushing the golf agenda with the tourism ministry. Indian economy continues to grow under a strong leadership that’s aiding most sectors and this is a positive growth period for golf as well. Though inbound figures currently are modest at a four digit, there is a double digit increase every year and can grow to five digit arrivals in next 3 years. It’s an exciting period to be in India and golfers can become part of it.